Reporters who were secretly taped by Jerry Brown's ex-spokesman would not tell their stories to official investigators looking into the matter. When the Alameda County District Attorney's Office announced last week that it would not file charges against a former spokesman for Jerry Brown, the news barely generated a whisper. It was a stark contrast to last November, when the San Francisco Chronicle splashed a story across its front page about how attorney general flak Scott Gerber had secretly taped the phone calls of six journalists. 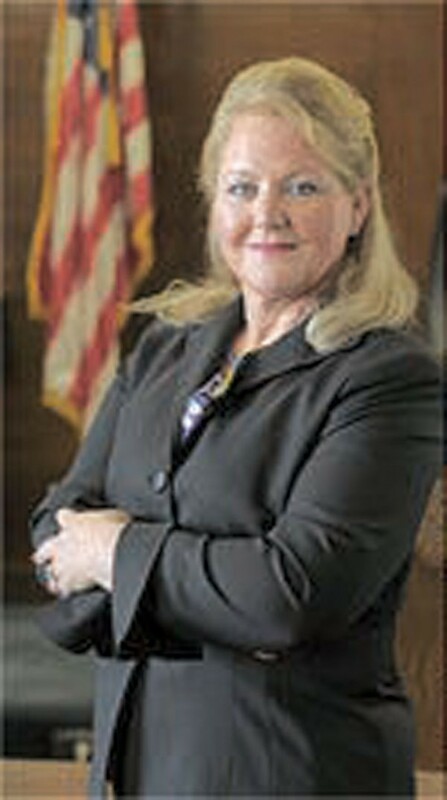 In an interview on Monday with the Express, District Attorney Nancy O'Malley revealed why the Chronicle and other newspapers may have allowed a page-one story to die a quiet death — the journalists refused to be interviewed. O'Malley said that when her office contacted the reporters — including longtime Chronicle journalist Carla Marinucci — they referred her to their attorneys. The attorneys then cited the state's shield law as to why they wouldn't talk. Marinucci did not return phone calls for this story, but the decision to refuse an interview is odd after her paper made such a huge deal about the tapings. It's also unclear as to how the shield law, designed to protect confidential sources, would apply to a case in which reporters were unknowingly taped by a government official. Gerber resigned over the incident because he violated his office's prohibition on taping people without consent. O'Malley got involved when Brown asked her to conduct an independent investigation. Without the reporters' version of events, O'Malley said she had no choice but to dismiss the case. However even if the reporters had been interviewed, O'Malley might not have filed charges. The reason is that she said she would have to prove that the reporters had an "expectation of privacy." And that would be a tough case to make, because all of the calls were for "on-the-record interviews." O'Malley declined to discuss her decision's ramifications. But her standard would lead one to conclude that all "on-the-record" conversations between journalists and sources can be secretly taped by either party without fear of repercussions. And that could represent a significant change in local journalistic practice. The flap over the secret recordings stemmed from a story by Marinucci about Mercury Insurance, the state's third largest auto insurer. Marinucci's piece concerned a ballot summary by Brown's office that neglected to note that a statewide initiative backed by Mercury will allow auto insurers to raise rates on low-income drivers. Coincidentally, Marinucci broke another story this week, revealing that Mercury has been involved in some ugly practices. According to a report by the state Department of Insurance that Marinucci obtained, Mercury engaged in discriminatory and possibly illegal activities for more than a decade. It's not clear whether Mercury will face any penalties, but consumer advocate Harvey Rosenfield told Marinucci that if voters approve Proposition 17 in June, it will allow the insurance company to "legalize the kind of discriminatory surcharges that they were caught doing by investigators." The state investigation, which ran from the mid 1990s to 2004, revealed that Mercury apparently discriminated against artists, actors, dancers, military personnel, emergency vehicle drivers, and people who had been in accidents caused by others, in violation of state law. The company also allegedly duped new customers by quoting discounts that it never provided and requested that its customers reveal their "national origin." Prop. 17 would overturn existing consumer protections, allowing Mercury and other insurers to charge higher rates to people who have let their auto insurance lapse. The company is advertising the proposition as a way to give discounts to drivers who have maintained their insurance, but consumer experts generally agree that the measure would adversely impact low-income motorists the most. Attorney General Brown also greatly helped Mercury by not mentioning this fact in the official ballot summary for the June Election. Measure B, the widely criticized initiative sponsored by Alameda Point developer SunCal, lost badly at the polls last week, garnering a pathetic 15 percent of the vote. The "no" votes accounted for 85 percent, meaning the measure lost by a whopping 70 points. The lopsided loss came as no surprise to SunCal officials who made the unusual move of conceding defeat the day before the polls opened. The Berkeley Daily Planet was defrauded by its payroll contractor for possibly hundreds of thousands of dollars, according Becky O'Malley, the paper's editor and co-owner. ... An Oakland City Council committee referred a proposal by City Attorney John Russo to double the city's campaign contribution limits to the city's Public Ethics Commission. ... In a speech to the Oakland chambers of commerce last week, Mayor Ron Dellums appeared to be setting the stage for a reelection bid. ... Campaign finance records show that mayoral candidate Don Perata was paid $260,000 last year by the state's powerful prison guard's union for "campaign consulting," even though the union mounted no political campaigns. ... And the campaign of Republican Senate hopeful Carly Fiorina became infamous with a web video portrayed of rival Tom Campbell as "a demon sheep."